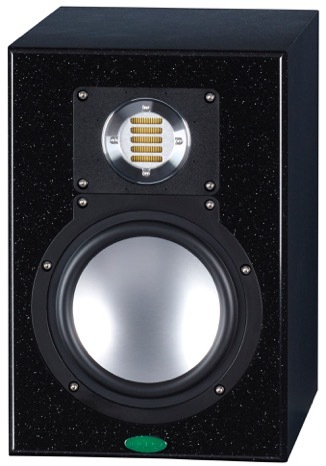 Despite having been a speaker manufacturer for less than a decade, Unity Audio has been able to give established brands a run for their money with it’s line of studio monitors, which can be found in audio establishments like Metropolis Studios and AIR Studios. 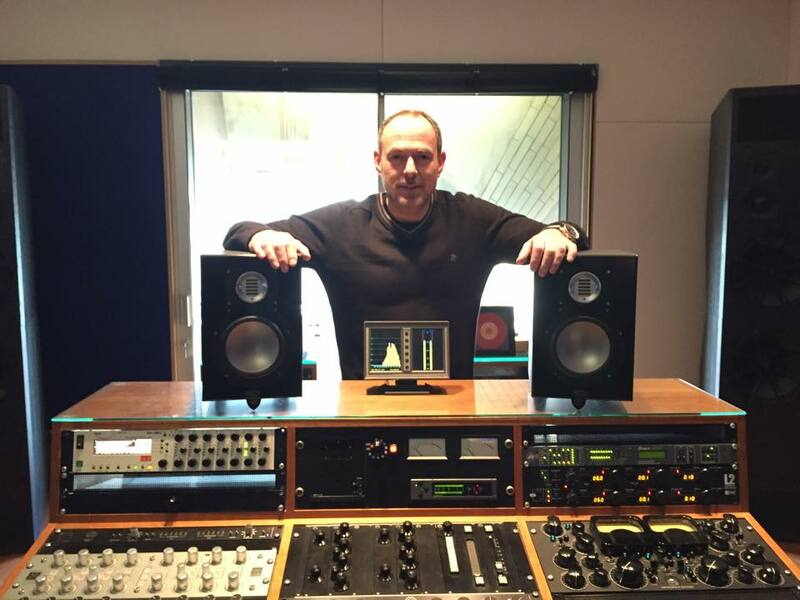 I met up with Kevin Walker at Metropolis in London last week to talk about his work with Unity, starting as distributor within the audio world, and then moving on to make speakers. Hi Kevin. Thanks for sitting down to talk to me about your company. Tell me about your background in audio? Sure. It all started as a hobby. I used to have a studio, years ago when I was a teenager, and got interested in recording. So I started off by cutting my teeth in different studios, working with bands, as well as on my own. I started off by working for a turn-key company in sales and marketing, but I eventually left to form a company called QPlay, where we developed a tape-machine controller that could pre-program punch-in and punch-out points. However, QPlay only lasted a few years, and then I went to work for Sterling Audio for about ten years. I left there in 1995 to set up my own distribution company, which was Unity Audio, and I initially specialized in high-end brands like Telefunken and Earthworks microphones, Empirical Labs products and things like that. Dynaudio was my first client when I started Unity Audio, which came about because I was selling their products whilst at Sterling Audio. So I ended up doing a lot of installations and demos for them as their distributor. But things always come to an end, unfortunately, so when my partnership with DynAudio was over, I started working as a distributor for Adam Audio, and had a lot of success with them. But things came to an end with them as well, even though I was doing a good job. Obviously, if I had been doing a bad job, my clients would have terminated the partnership, but I’ve come to realize that even if you do a really good job, things might still come to an end because the clients start to think, “We can do that job ourselves and save money, instead of paying someone else to do it “. It happened to me twice, which is how my forage into manufacturing speakers came about. Unity Audio needed another speaker line to work with, and I loathed jumping into bed with another manufacturer. So I started manufacturing them myself, and have been making speakers for six years now. How does it feel to be competing in the speaker space with companies like Dynaudio and Adam Audio, who you were once working with? It’s satisfying (laughs). It’s a lot of hard work. When I started, a lot of people said to me, “You’re crazy “. I was going up against well-established companies that have been around for years, so wasn’t not an easy task. But I feel like in a relatively short period of time, we’ve been very successful and have good brand recognition. Most people that we speak to on Internet forums and in person have very good things to say, so we’ve been well-received. Given that the speaker market is very saturated, with fierce competition in the bedroom-producer price range, did you find that it was easier for Unity Audio to penetrate the market with a brand of high-end speakers, rather than target the amateur market? If you look at the products that Unity Audio has been associated with over the last twenty years, you’ll see that we’re a high-end brand. So it would be out of character for us to come out with a pair of £499 speakers. The caliber of people we deal with, both on the business and artist side, are top-end guys, so it only made sense go for a high-end design. Nothing is easy these days, but with that being said, it would have been harder for us to try and penetrate a market where things are fiercely competitive, with tight profit margins where you’re selling a pair of speakers for under £500. You then have to look at developing your product overseas and selling in huge numbers. As someone who uses these products, I couldn’t bring myself to develop and sell something that wasn’t the best I could do. So Unity speakers would have always been a high-end product. As an example, in the MKII Boulder, we just put in some expensive Burr Brown chips for £25, whereas we could have gone for the cheap 50 pence ones. Is everyone going to notice the difference? Possibly not, but we do, so we don’t cut corners. A lot of bedroom producers find it harder to tell the difference between high-end speakers, as the difference in sound can become more subtle and nuanced. Have your users ever mentioned such issues to you when demoing your products? 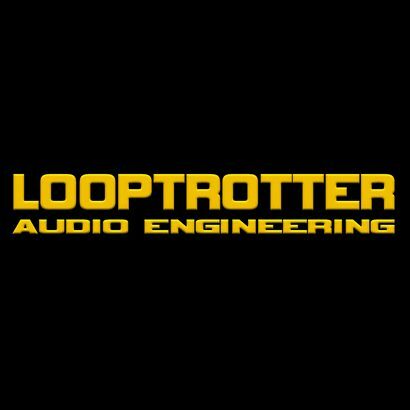 Traditionally, when we’re looking to sell speakers to engineers, producers and mixers who are at the top of their game, they hear the subtle differences and are prepared to pay for it. They’re not bedroom producers; they use this stuff day in and day out, so it has to be exactly what they want. 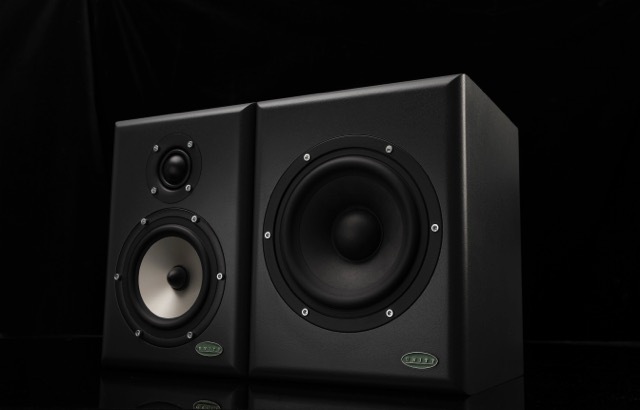 Over the years, I’ve seen countless instances of people who are new to engineering or mixing music, and choose to buy a pair of £500 speakers for their studios. However, as they get more accomplished in their mixing and engineering skills, after say two years, they come to understand that their speakers aren’t really giving them the detail they need. So they’ll have to switch, by selling those £500 speakers on eBay. 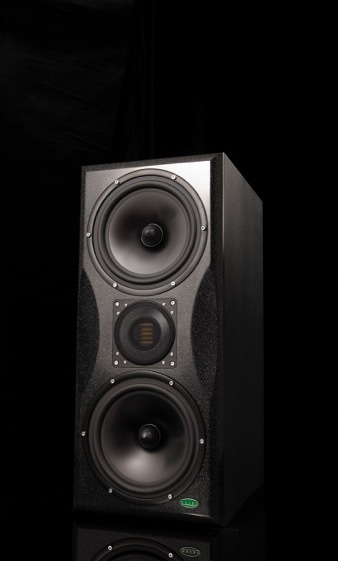 As a result, people come to understand why high-end speakers like ours matter. How has Unity Audio been able to balance a flat frequency response for mixers and engineers with a colored one for artists and producers who want more vibe than accuracy? That’s a good question. It’s always a dilemma, because engineers and producers will want something flat and revealing, whilst artists and clients will want a vibe. Being able to get a good balance can sometimes come down to luck. The Rock is very detailed and analytical. People without a trained ear might be tempted to dismiss it, due to a lack of thunderous low end. But those with a trained ear get it quickly. It’s not a hi-fi speaker, so we’re not tweaking it. The new Boulder MKII is very detailed, and you can mix on it. It’s more of a mid-field main monitor, being a three-way with two eight-inch woofers. But it’s got a vibe to it. I’ve already heard back from producers and mixers who’ve said that their artists love the vibe it has. It’s exciting enough for them to write songs on, whilst being detailed to mix on too. Can you tell me more about the different models of speakers you guys have? Sure. Everything we do is active and sealed cabinet. Starting at the smaller range, we have the Pebble, for £1079 + VAT per pair. The Bam-Bam is a dedicated bass extension system for the Pebble, which takes the Pebble from a two-way to a three-way, with the sub woofer being in a separate cabinet. The Bam-Bam’s sell for £895 + VAT per pair. The Rock MKII, is £1041 + VAT (priced individually). The Boulder MKII is £2,812 + VAT (priced individually). 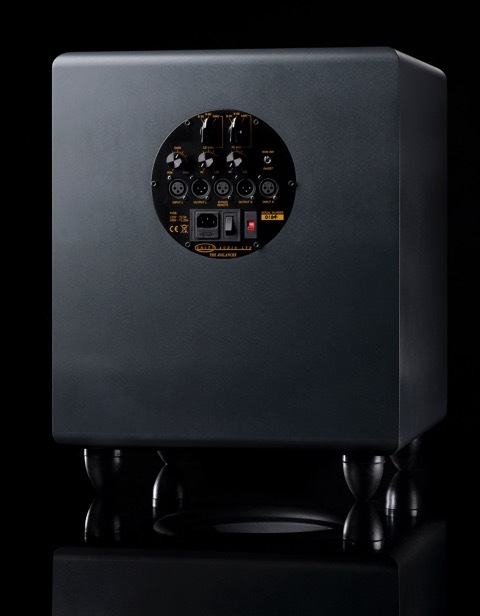 Finally, we have The Avalanche sub-woofer, which goes for £2,150 + VAT (priced individually). Which of your products have been the most successful? The Rock. For starters, it’s our mid-priced speaker, and it’s been out the longest, so it has the longest track record. Can you tell me about the clients that regularly use Unity’s products? Our users aren’t genre specific. Here at Metropolis Studios , their mastering rooms have four pairs of Rocks; It’s the only near-field they use here. The Prodigy have Boulders, and used them for their new album. Queens Of Stone Age have both Rocks and Boulders, which were used on their latest album. Coldplay have four pairs of Rocks. Geoff Foster is an engineer that works predominantly out of AIR Studios in London and he does a load of big film scores, having worked on the Interstellar score with Hans Zimmer. He also did the first dedicated Dolby-Atmos mix, using Rock speakers for the “Noah” film from last year. Finally, Tom Dalgety produced the Royal Blood debut album using the Rock speakers. Wrapping up, can you tell me what the future holds for Unity Audio? Product-wise, there’s a few things we’re working on, which I can’t talk about now. But the big thing for us this year is to expand into markets that we’re not currently in.